Everything in our lives needs to fit in. Your car should better be a minivan, if you have 6 children family, your lunch shouldn’t exceed stomach capacity and your belt has be loose enough to sit comfortably. You don’t have to take an excavator to make a garden bed, but you can’t dig a subway tunnel with a shovel. You’ve got the point, right? Harmony between requirements and means is crucially important for effective activity, especially when it comes to business. Let’s say you’ve decided to play for high stakes and looking for something correspondent to your ambitious plans. That is why we’re here to take a look on one of the most functionally advanced and expensive platform on the market. Meet the Magento Enterprise - a real “monster” of e-Commerce. It’s a premium platform designed mostly for large (and medium) e-businesses with almost endless list of benefits to offer. Magento Enterprise Edition is fast, scalable and secure, has advanced marketing and segmentation tools, full page caching and able to handle an extreme number of products in a store catalog. It’s a Bentley car on the market of shopping cart platforms and Boeing 747 among the planes. Magento Enterprise platform is mainly used by middle-sized and large companies, including such world giants as Nike and Samsung. According to builtwith.com, nearly 10 000 sites use ME with 30 of them in Top 10k website list. Google Trends service shows that the interest to Magento Enterprise constantly grows starting from 2009 till nowadays. 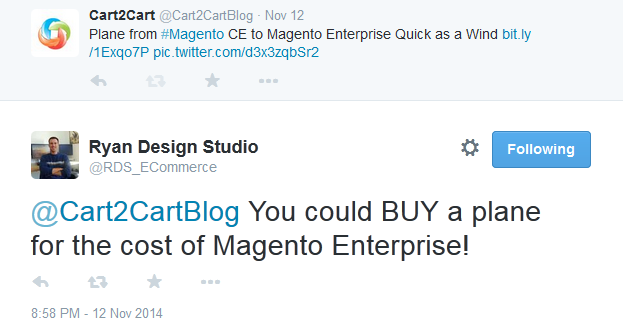 Magento Enterprise is a wonderful product though not ideal. In the name of objectivity, we present you list of its Positive and Negative Features. Despite Magento Enterprise Edition offers a whole lot of benefits you can’t find with other solutions, it’s not for everyone. ME’s speed, power and functionality has its cost that seriously limits the circle of people who can take advantage of this software. 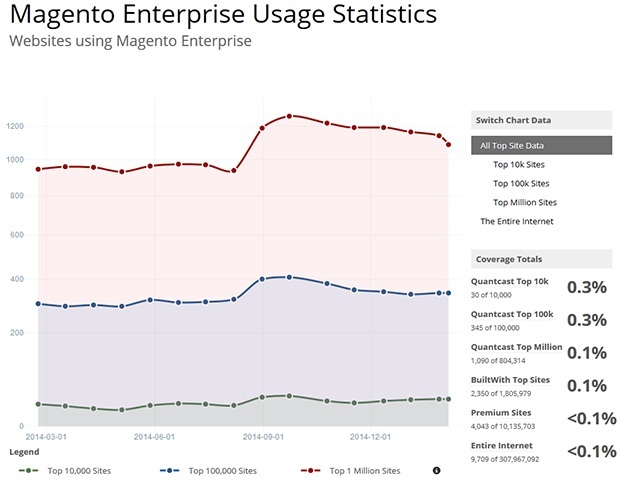 Besides that, many e-Commerce experts claim that the release of Magento 2.0 will seriously weaken Enterprise Edition positions. This statement is based on the fact that a large amount of ME functionality will be available for Magento 2.0, but with one significant difference - it’s going to be free. Thus, stay tuned with us for the latest Magento news. Everything in our lives needs to fit in, remember? Make a sober assessment and give yourself an answer “Is Enterprise Edition right for my business?”. 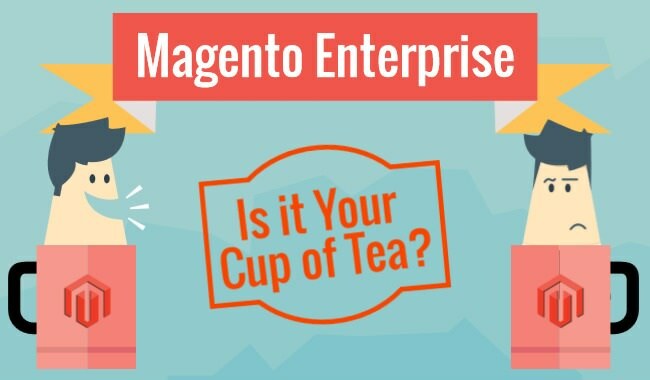 If after reading this article the answer is “Yes” and you want to switch your current platform to Magento Enterprise, then you’re in the right place. 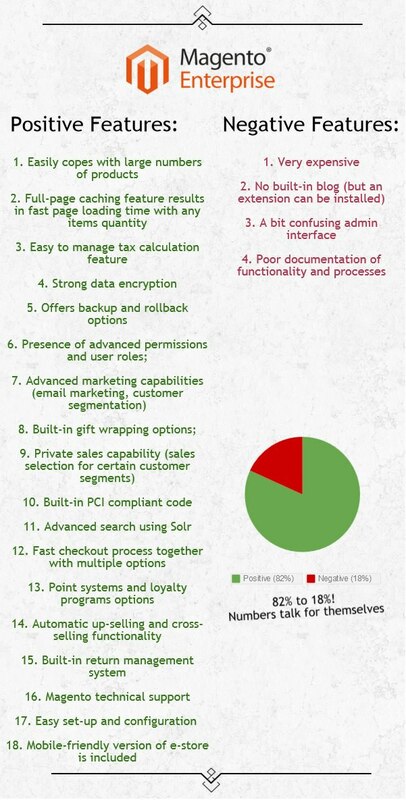 Try our free Demo Migration now and make sure you choice it right!